Voila! The finest commmercial umbrellas available anywhere, at any price. Our matchless fiberglass umbrella frames have been tortured and beat up by salty ol' beach concessionaires for nearly twenty years. We have beefed up these outdoor umbrellas to prevail against winds of 50 mph! Many vibrant fabrics will decorate your pool deck: tough but economical heavy weight vinyl, or the best - 9 oz. 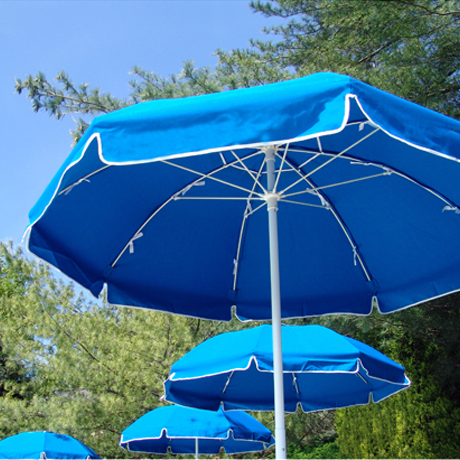 Marine grade, solution dyed acrylic Sunbrella® fabric. If your application demands a no maintenance umbrella, look at these hard top umbrellas. Fiberglass topped umbrellas provide vibrant curb appeal for outdoor restaurant seating. 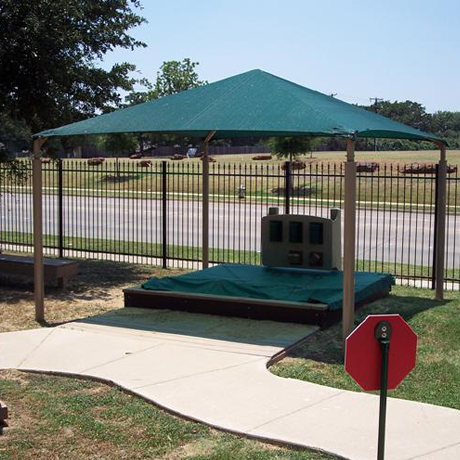 Aluminum topped "Hurricane" umbrellas are the suitable accent for unmanaged condominium pool decks or similar unsupervised locations. Adequate umbrella bases are critical to get the most life from your parasol investment. Our exceptional umbrella designs and tactical materials cannot withstand fly away conditions. 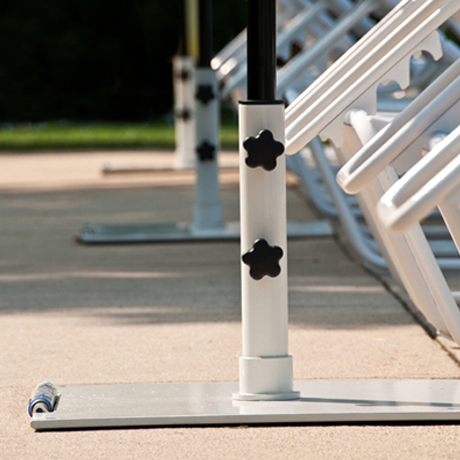 Safeguard your umbrellas with heavy bases to anchor your purchase. If you are outfitting a beach front property, please consider these concession grade cabanas. Aluminum ribs and marine grade fabrics make these cabanas the number one choice for shade on the beach. 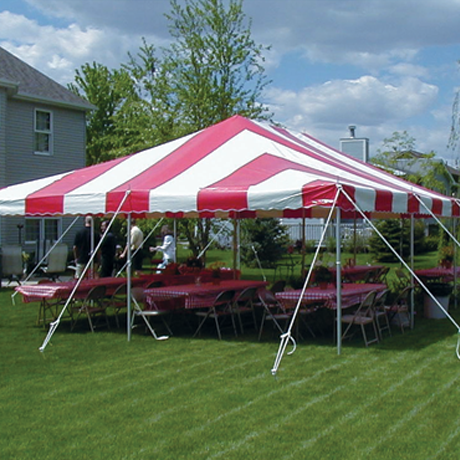 Planning a party or need a canopy to protect valuable equipment from the weather? We have easy installation canopies of several sizes to give a long service life for many events to come.